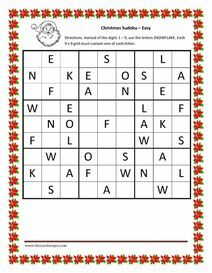 Download your Free Printable Christmas Sudoku book. This ebook contains 3 Sudoku puzzles: one easy, one medium, and one hard. This ebook also has a holiday word search and a holiday word scramble. Get another free Christmas ebook below.